RQ Construction announced today that the Design-Build Child Development Center at Fort Irwin, CA has been awarded LEED® Gold established by the U.S. Green Building Council and verified by the Green Building Certification Institute (GBCI). LEED is the nation’s preeminent program for the design, construction, and operation of high performance green buildings. The new Child Development Center (CDC) is a 25,000 square foot single story building on an approximately five acres. Designed and built by RQ Construction, this medium-sized facility has a 232 child capacity for children ages 6 weeks through 5 years. This facility was designed and built to strict US Army Center of Standardization (COS) guidelines. The project houses 16 classrooms, full administrative areas with staff lounge and training room, a commercial kitchen, outdoor playgrounds and activity areas for infants, toddlers, pre-K and kindergarten aged children. The project has accomplished a major milestone as the first certified LEED project by the GBCI at Fort Irwin. Not only will it be the first LEED certified project on base, it will have attained the prestigious and difficult Gold level in sustainability according to the USGBC sustainable design criteria. The project will also be the first certified project for the LA District Army Corps of Engineers. 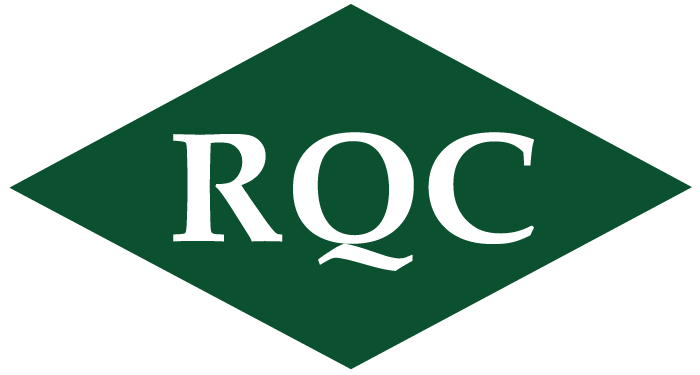 Although only required to meet LEED Silver standards, RQ incorporated additional features to provide their client LEED Gold at no additional cost. The Child Development Center achieved LEED certification for energy use, lighting, water, and material use as well as incorporating a variety of other sustainable strategies. By using less energy and water, LEED certified building save money for families, businesses and taxpayers; reduce greenhouse gas emissions; and contribute to a healthier environment for residents, workers and the larger community. Highly efficient chilled/heating water system with central plant, air distribution through efficient air handling units fitted with economizer dampers plus mixing section, UV light section, air flow monitoring stations, and MERV 13 (85%) filters, greatly reduces the energy consumption of the building compared to a traditional building. The irrigation system features an automatic controller with water saving features such as flow and rain sensing devices. Trees are bubbler irrigated and valved separately from shrubs. Planter areas are spray irrigated with high-efficiency pop-up spray heads. These features reduce the amount of water used for irrigation considerably. A ‘cool’ roofing system that can deliver high solar reflectance (the ability to reflect the visible, infrared and ultraviolet wavelengths of the sun, reducing heat transfer to the building) and high thermal emittance (the ability to radiate absorbed, or non-reflected solar energy). The site has preferred parking for 5% of parking capacity for fuel efficient vehicles (FEV), clearly marked by signs. Photocell controlled light fixtures mounted on building exterior or poles is provided for parking areas, sidewalks, service yards, service drives, building entrances and perimeter. Full cut-off fixtures is provided to reduce light pollution. General area lighting is provided utilizing fixtures with energy efficient fluorescent lamps. Light fixtures are controlled by wall switches and/or motion sensors where required. Task lighting is provided at all work spaces. More than 40 % of the total materials used in the project are regional materials. This means that the products are extracted, processed, AND manufactured within a 500 mile radius of the site. All wood products in the building are also FSC certified. More than 96% of site and construction debris, by weight, was recycled and diverted from landfills. The CDC project helps reducing the impact on local aquifers by conserving more than 50% of potable water needs for the facility. Dual-flush toilet fixtures and low-flow aerator faucets reduce water consumption within the building by almost 52% compared to a building meeting the current federal standards. Windows are dual-pane “Low- E” glazing in powder-coated aluminum frame. These windows are able to significantly reduce the energy loss through the building envelope. Not only does a high thermal resistance reduce heating loss, but a low shading coefficient reduces solar gain, thereby cooling loads. A high visible transmittance helps reduce lighting loads by contributing more useful daylight. Plenty of widows assure that almost all occupied spaces within the building has views to the outside. This particularly improves the morale of the employee and moods of the children.